Gone are the days where you would need to stand in the corner of the room to try and get a decent Wi-Fi connection. 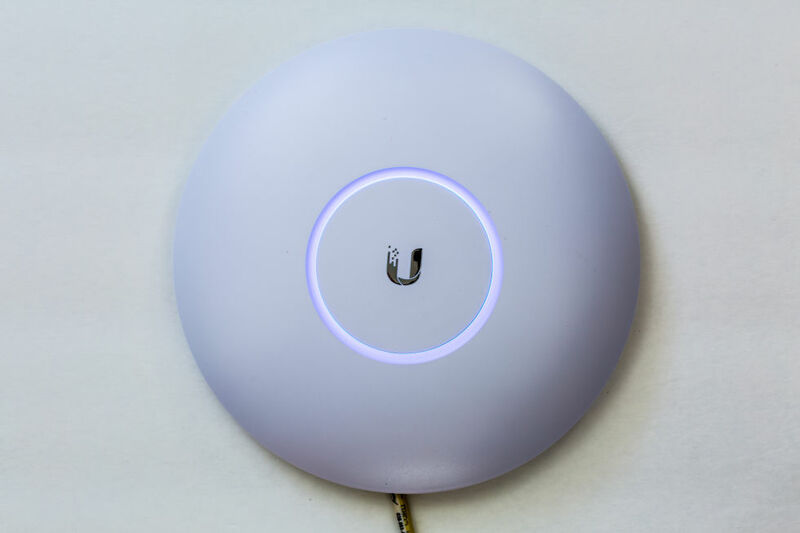 With one (or series of) Ubiquiti Unifi access point(s), your home or business, if one or more Ubiquiti Unifi access points are placed optimally, will have complete coverage in every single room. A single, lower spec access point has a range of up to 122 meters - more than enough for a home or small business. And if you own a large business - just hook up two or three! 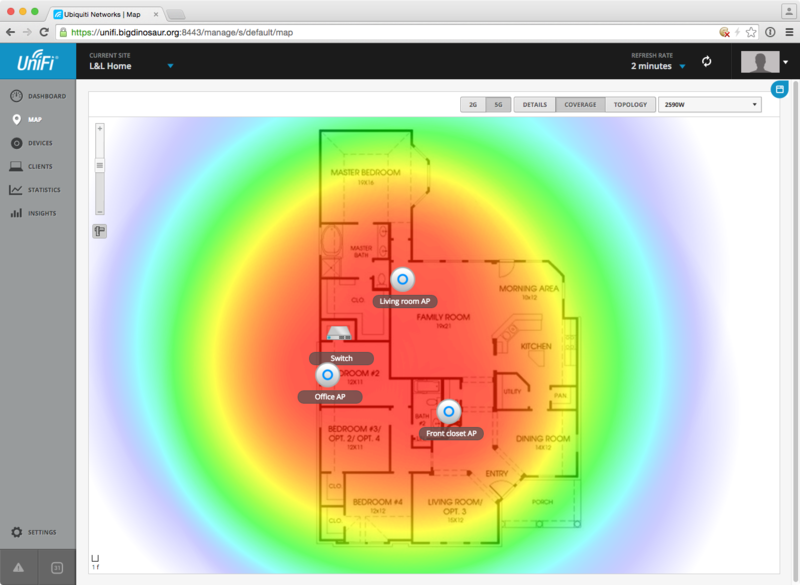 “Smart” has been the word of the day for the past three years, and Ubiquiti’s Unifi access point hardware is nothing short of Albert Einstein. Conventional wireless network solutions would have you set up multiple routers which you would have to switch between manually, and if you’re not careful you'll find yourself working on a lesser connection. 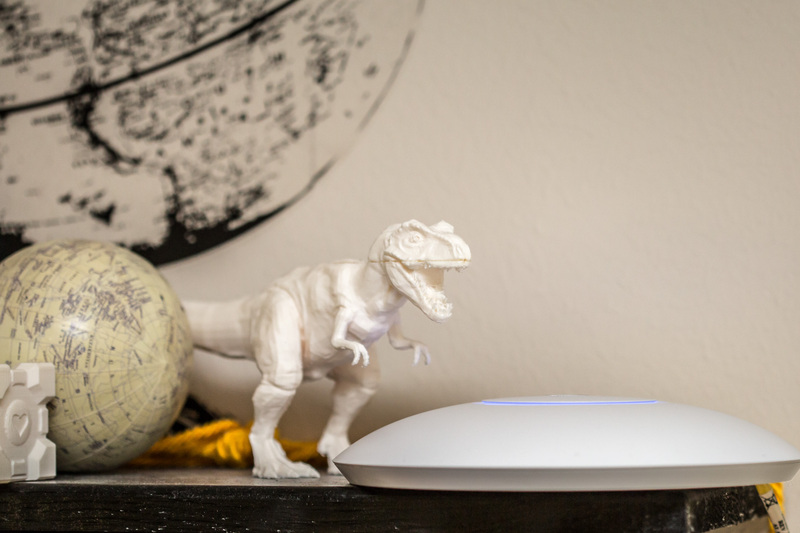 A Unifi access point network works off a single Wi-Fi router and whatever device you have registered on the network will automatically switch to the strongest access point within range. Unifi access point is perfect for any home or business. A single Unifi access point, if placed in the right place, is enough to solve a whole home’s connection issues, but that's not all...if you have a business that is heavily dependent on the internet, you can set up a wireless network that spans kilometres. As for the number of devices on a single access point, over a hundred can connect to a single Unifi access point during low activity and 30-40 during high activity. This makes a Unifi access point perfect for any home or large business. 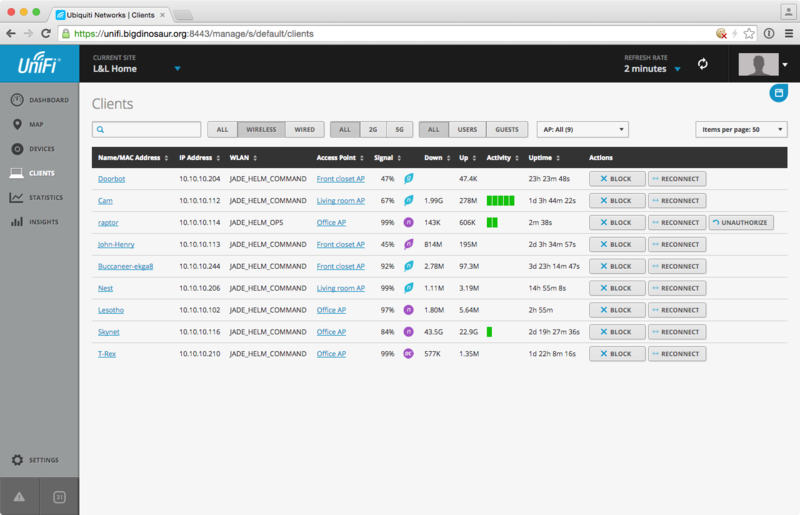 Included with the Unifi hardware is software that will allow you to track and control every aspect of your Unifi network. Individual access points can be turned on and off, devices that are connected to the network can be monitored and each device’s data usage can be overseen. Additionally, devices can be registered on, or blocked from the network and changes can be made to the network that will apply to specific or all access points. That can all be done remotely via the free Unifi mobile application. With your new snazzy wireless network, you can integrate free or paid Wi-Fi to the public which is fully trackable and can be capped when the data usage reaches a certain point. The Wi-Fi range can reach frankly ridiculous distances if you have enough access points. Requires a strong internet connection to utilize this hardware to its fullest. Unifi hardware must be connected by ethernet cable.